US President Barack Obama has signed an emergency declaration order for parts of Tennessee, Mississippi and Kentucky following widespread flooding in the states. 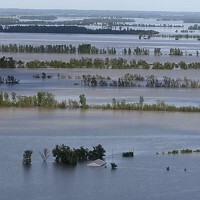 The move allows Federal Emergency Management Agency and other departments to co-ordinate disaster relief efforts in the states that have been ravaged by floods and tornadoes over the past two weeks, the White House said. Major flooding has hit many regions, damaging the infrastructure and affecting the road network. The events highlight the importance of taking out comprehensive travel insurance before going abroad. With the emergency declaration, the counties of Dyer, Lake, Shelby and Stewart in the state of Tennessee have been given disaster status. In Mississippi, the declaration covers counties of Adams, Bolivar, Claiborne, Coahoma, DeSoto, Issaquena, Jefferson, Tunica, Warren, Washington, and Wilkinson. Kentucky governor Steve Beshear said that parts of his state have also been declared as disaster areas, but did not specify the counties covered by the declaration.